This Monitor Stand Works Well in Contemporary or Vintage Settings! 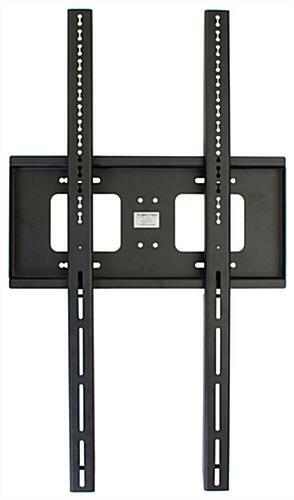 This Monitor Stand is a Slim Bracket for 37" to 60" Flat Panel Televisions! Place In-Stock Orders by 1 p.m. EST for Same-Day Shipping! 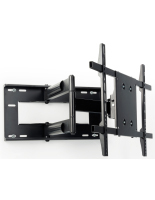 The monitor stand that fits 37" to 84"+ flat panel televisions, like a plasma mount, is VESA compatible for 100mm x 100mm through 800mm x 400mm. 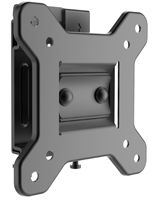 VESA compatibility refers to the standards agreed upon by manufacturers of monitors and brackets to ensure proper installation. 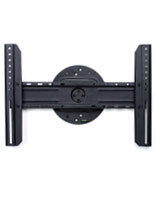 The plasma TV mounting arm, monitor stand includes the hardware required for secure installation. 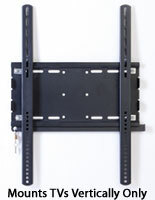 Some flat panel plasmas may require specific screws that can be picked up at most any hardware store. 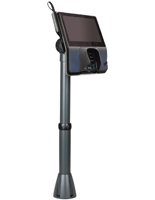 This monitor stand boasts attractive black finish and mounts a flat panel television in portrait format. This alluring finish allows the display to be applied in any setting while blending perfectly. 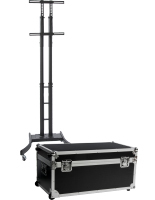 The flat screen bracket, heavy duty monitor stand is made from quality steel, which makes it a long-lasting and sturdy presentation piece. The black finish is powder coated onto the steel, creating a remarkable display. 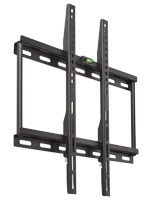 This monitor stand supports 60"-65" monitors weighing no more than 176 lbs. vertically. A vertical LCD television display looks like a traditional wall poster for enhanced visual marketing.